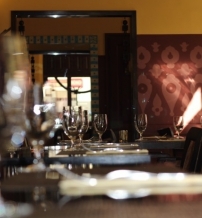 Indigo serves up a great selection of authentic Indian cuisine in a relaxing atmosphere, at two locations: one established in 2005 close to Nyugati Train Station, and another opened a decade later, to serve guests on the Buda side, a few steps from Millenáris Park. 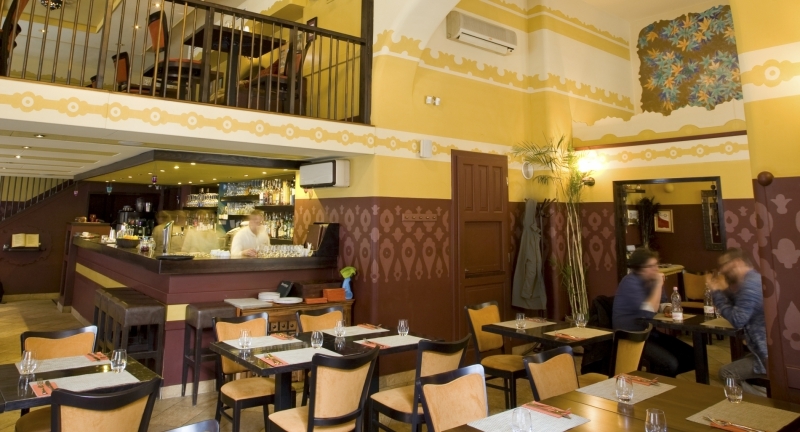 Conveniently located in the heart of Budapest, Indigo Pest looks like any other restaurant from the outside. This subtle look continues inside with clean, simple decor of vanilla and aubergine colors and a sensibly dimmed lighting. There is ambient Indian music playing in the background and a few attractive Indian themed paintings and statues offering a hint of the homeland of restaurateur Aman Singh. “No need for fancy gimmicks or show-off decor, Indigo focuses on the most important thing – great food at reasonable prices,” he says. “Our staff is confident in their knowledge of the menu, which means that this is a place where someone who’s a newcomer to Indian food will have all their questions about the menu answered without hesitation.” Indigo opened with a vision of providing authentic Indian flavors in a relaxing atmosphere. At the time no other well-established Indian restaurants were available. Ever since, the Indian community regularly visits Indigo which is a good sign of its authenticity. The restaurant often caters business dinners, company parties. For a starter, try the Hara Bhara Kabab. These vegetable cutlets are light, mildly spiced and come with chutney. Continue with the Lamb Shorba, a tasty lamb soup spiced with ginger and garlic - the smell will kick start your appetite. According to the owner, this dish is capable of curing even the worst kind of hangovers. 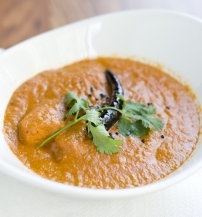 For a main, try the Fish Vindaloo, a Goan fish dish, cooked to perfection in a special hot sauce. Or, go for the Tawa Chicken, a Punjabi style chicken in thick gravy. Meats are traditionally spiced, and have just the right amount of sauce. For something a little different, in a Tandoori dish, ask for the Indigo Tricolor Platter, a selection of chicken kebabs, spiced with tikka, malai and haryali for red, green and white colors. The dish is presented on a sizzling platter and onion bed. The meat is very tender and juicy - you'll barely need a knife. Be sure to try the mango lassi, a delicious sweet yogurt drink. This goes perfectly with those hot dishes that Indian cuisine is so famous for serving. Desserts include Pista Kulfi, a homemade Indian ice-cream made from milk, flavored with pistachio. 1066 Budapest, Jókai u. 13.